CONTRACTING CONDITIONS AT FULHAM SHOPS, S.L. We have an SSL certificate, which means that our website is genuine and serves a legitimate purpose. Your personal data and payment information are completely safe. We protect all our online transactions with the most advanced security measures and encrypt confidential data. * Credit or debit card. : VISA, Master Card and American Express SafeKey. If you are an Amazon customer, you can use your Amazon login details to buy at Fulham. You can sign in via Amazon, so you do not have to enter your address or your payment method. * Paga+Tarde: you can also finance your purchase up to 12 months. Paga+Tarde is a financial institution that carries out all their transactions via Pagantis, a company regulated by the Bank of Spain. It is the pioneer instant credit company in Spain. Paga+Tarde is a financing system that is as fast and simple as paying with a bank card. You can sign up online, with no additional paperwork. You just have to fill out a form with your details and your application is assessed and the response is immediate. Upon payment, you can simulate your finance with a different number of instalments, so you can see how much your order will cost and decide if you want to finance it. 1. You must choose the number of instalments, up to a maximum of 12, and your monthly payment will be automatically calculated. 2. You must fill out a short form with your personal details, and in just a few seconds you will know if your finance is approved. If it is approved, you should enter your card details and the first instalment will be automatically charged. Paga+Tarde will send you an email with the summary of the amount of every instalment. This email will also include the access codes for your account. You can check all the information regarding your finance on your account, you can also pay instalments in advance or even the total amount of your order, thus reducing the interest you have to pay. After paying the first instalment when you finish your application process, the remaining instalments will be automatically charged to your card every month. Bear in mind that the instalments are fixed and the same each month, with no extra charges. Before each payment is made, Paga+Tarde will inform you via e-mail. You can also see this information in your user area. CAN I PAY FOR MY ONLINE PURCHASE WITH A VOUCHER FROM A FULHAM PHYSICAL STORE? Yes, you can. If you want to redeem your voucher through your online purchase, call us on 917648887 or send an email at info@fulham.es, and we will help you. CAN I HAVE AN INVOICE MADE OUT TO MY COMPANY? Yes. You just have to fill out the tax details when providing your billing address and request it by writing a message in the observations field. If you wish, you can collect your order at any of our stores. However, if you would prefer to have it sent to you, you will receive your order at the address you have provided. Remember that you can provide a shipping address that is different to your address. This is very useful if you want to send a gift, if you spend more time at work than at home, or if you are going to spend some time out away from your usual address. HOW LONG WILL MY ORDER TAKE AND HOW MUCH IS DELIVERY? Delivery times depend on the destination of the order and will count from the moment we receive payment. Delivery times are always expressed in business days. For 24-hour delivery*, orders must be placed before 13:00. Once your order is processed, we will send you a shipment confirmation via email (when your order is about to leave the warehouse). You will receive your order at the provided address at the agreed time. Contact us at info@fulham.es or 917648887 if you have questions about the delivery costs and process. Return period: Within 14 days of receiving your order. Return costs: It is FREE if you bring the item to be returned to any of our stores, but you can also send it via a courier, or by asking us to send one for €5.00, for national returns, which is the shipment cost of the product (we will deduct this amount when we refund you). For international returns, collection will be charged as the same amount specified in the shipment cost chart for orders under €320, for each destination. Refund period: Within 14 days of receiving your returned item, although it is usually made within a maximum of 1 or 2 days. The exchange or return period is within 14 calendar days of receiving your order. Fulham has a period of 14 calendar days as of receipt of the returned item to refund the customer. CAN I MAKE A RETURN AT ANY FULHAM STORE? HOW SHOULD I RETURN AN ITEM? In your customer area (MY ACCOUNT), by ticking the box of the item you want to return in your order. By us the withdrawal form you received with your order and that you will find at the end of this section, to the following address: Fulham Shops SL, C/Velázquez 72, 28001 Madrid. After verifying the information, we will confirm the return acceptance and send you the label you must stick on the parcel (which should be perfectly packaged), that the courier will collect. You can send the parcel through a different courier or drop it off at one of our stores. When we carry out the refund, we will deduct the cost charged by the courier for shipping the returned item. Once we receive the item at our warehouse, we will check the information and that the product is the same condition as it was when sent. The price of the returned item. The delivery cost if it was paid by the client when they placed the order. We will deduct the cost of collection of the returned item. If you return a product with a quantity promotion (3x2, second unit at half price, etc. ), promotion will be void and the discounted products will be charged at their full price). If you wish to exchange something from your address, you must make a return following the aforementioned steps and place a new order online. You can return an item bought online at any of our stores. Items must be in perfect condition, with all their tags, and with their corresponding delivery note. We will give you a return receipt in store and we will refund the order amount via the same payment method, including shipping costs if they were paid by the customer, within 14 calendar days. Please bear in mind that Fulham reserves the right to reject returns that are requested or sent after the 14-day period, or items that are not in the same condition as when they were sent. WHAT CAN I DO IF THE ITEM I RECEIVE IS FAULTY OR INCORRECT? If you receive a faulty item or an item that does not meet the requirements specified, contact us at info@fulham.es or at 917648887 within 2 months of noticing. Fulham is liable for non-conformities that may occur within 2 years of the delivery of the product. Fulham will repair or replace the item, reduce its price, or terminate the contract as the case may be. In this case, you will not have to pay anything for the return. Fulham will bear the cost of the collection of the product and, once the default or fault is verified, we will reimburse you 100% of the amount paid, including delivery costs, if any. Fulham collects personal data of the Users of its Website in order to process their orders, respond to questions and requests for information, or send communications on its products or promotions that may be of interest, provided that the User has expressly authorised the said processing. The legitimacy of data processing is based, if the User purchases products through the Fulham Website, on a contract of sale; and, if the User subscribes to the Fulham newsletter or asks a question or requests information through its Website, it is based on the consent of the interested party. The personal data of the Users of the Fulham Website shall only be transferred to the corresponding courier, with the sole purpose of delivering the products acquired on the website. When personal data are collected via a form, Users of the Fulham Website must complete, at least, the fields marked with an asterisk. If these required data are not provided, Fulham cannot accept, manage and/or process the order or request made through the Website. Users of the Fulham Website guarantee that the personal data provided are true, accurate, complete and updated, and shall be liable for any direct or indirect loss or damage that may arise as a result of a breach of that obligation. If the data provided belong to a third party, the Users of the Fulham Website guarantee that they have informed the said third party of the content of this document and that they have their authorisation to provide their data for the aforementioned purposes. Fulham will store the data provided by Users of the Fulham Website indefinitely until, their activity finishes, if applicable, provided that the Users do not request to be removed from our database beforehand. As part of Fulham’s efforts to guarantee the security and confidentiality of User data, it has applied the security levels required for personal data protection and has installed the technical means available in order to prevent the loss, misuse, alteration, unauthorised access and/or theft of the personal data provided through its Website. The Users of the Fulham Website may exercise their rights of access, rectification or suppression, limitation of processing, opposition and portability of their data, without this affecting the legitimacy of the processing based on the consent provided prior to their withdrawal or limitation, by writing to info@fulham.es, and referencing ‘Data Protection’. The Users of the Fulham Website may also exercise their right to claim before the Control Authority. These General Terms and Conditions are governed by Spanish legislation. In order to resolve disputes, the parties decide to submit themselves to the jurisdiction of the courts and tribunals of the user address, expressly waiving any other jurisdiction. 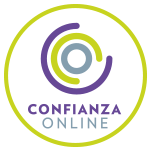 Likewise, as an entity signed up to Confianza Online and according to its Code of Ethics, users may contact Confianza Online’s (www.confianzaonline.es) extrajudicial service to resolve disputes concerning any dispute regarding online contracts and advertising, data protection and the protection of minors.